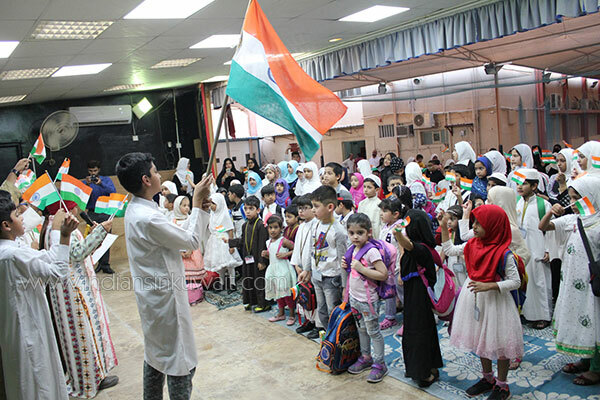 Indian Muslim Association Summer Islamic Classes Students celebrated Indian Independence Day with unprecedented patriotic fervor on August 15, 2018. 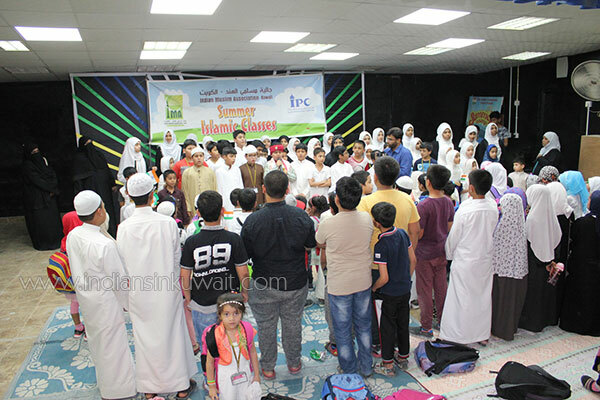 The gamut of celebration activities held at the ICSK Junior branch in Salmiya consisted of children cultural activities and an impressive flag hosting ceremony. 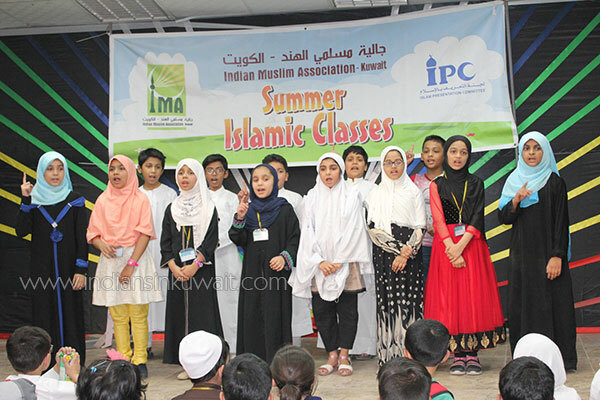 This day also marked the successful completion of IMA’s 2-months long summer Islamic classes, more than 200 boys and girls of different ages and nationalities had joined eagerly to spend their vacation in the most productive way which is to seek Islamic knowledge and to make good friends and have fun at the same time. 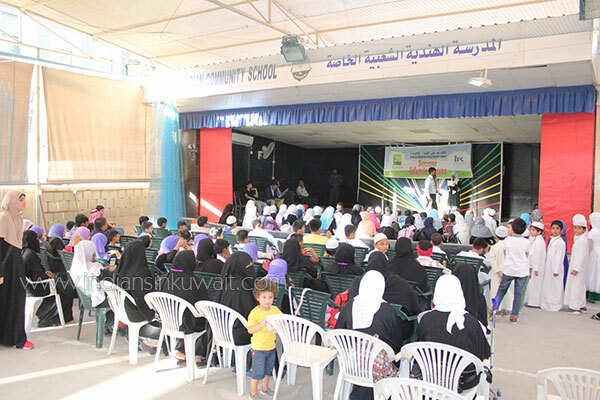 The students successfully covered many subjects such as Aqeedah, Hifz, Fiqh, Tafseer and Seerah. 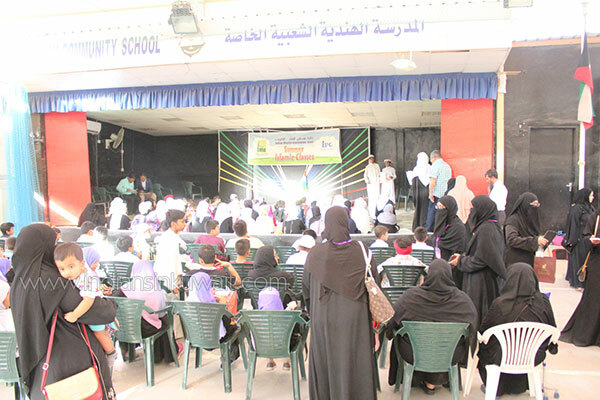 Along with these main subjects, students also enjoyed many fun-filled activities every week such as salad making, sandwich making, cupcake decoration, best out of waste, a Powepoint presentation on dental and oral hygiene, full day educational tour to Sheikh Abdullah Al Salem Cultural Centre and much more. 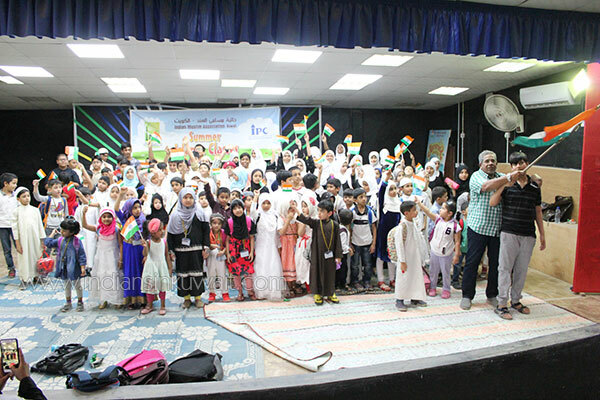 On the last day of the camp, a program was organized by the combined efforts of teachers and students to present the achievements of SIC in a nutshell. 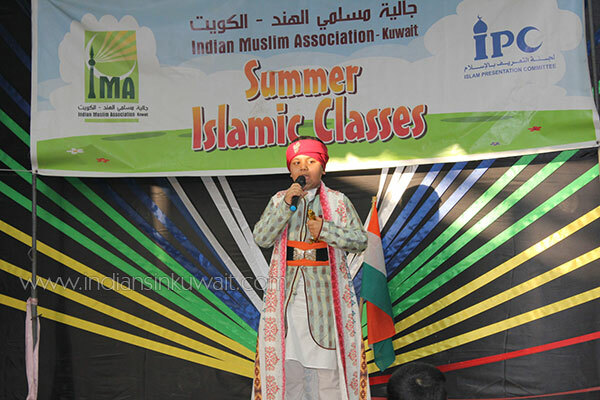 The program started off with Tilawah and Translation done by Grade 4 boys. Then, students were selected from each grade to talk about the topics they learnt in each subject. The topics such as “Importance of Aqeedah” and “Importance of Seerah” were presented by senior girls. 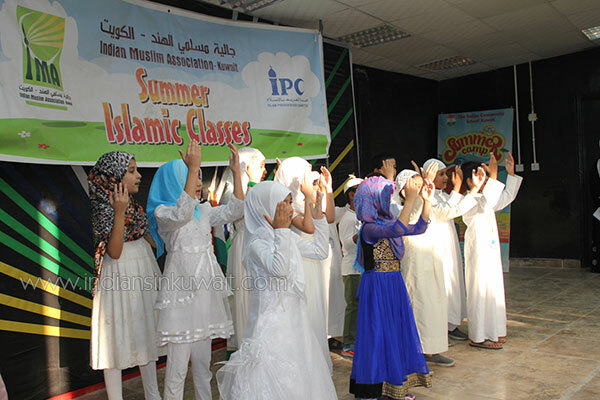 This was followed by the recitation of Hadeeth by Grade 4 and 5 girls who had diligently memorized the Arabic text along with its meanings. The boys wonderfully presented the characteristics of each of the “Ashra Mubashira”. 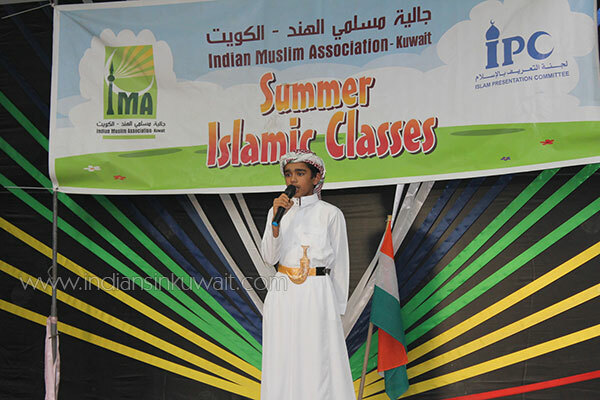 Each section was alternated by melodious nasheeds sung by the young students. The final section of the presentation was done on the Tafseer of Surah Yusuf by senior girls covering lessons such as Patience, Ways to do Ihsaan, Dreams and its different types etc. 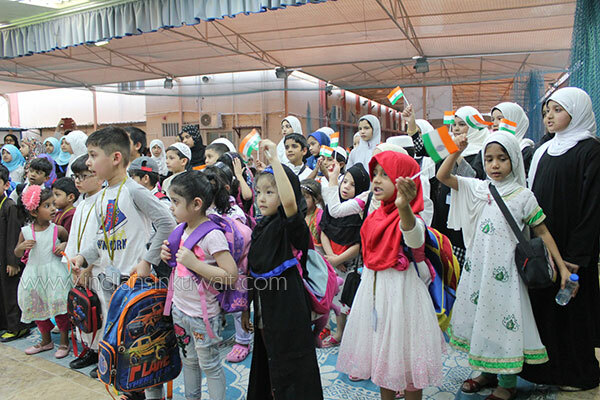 The program ended with all the students singing the IMA summer Islamic classes anthem and India’s patriotic song “Saare jahan se accha” marking its 72nd year of Independence. 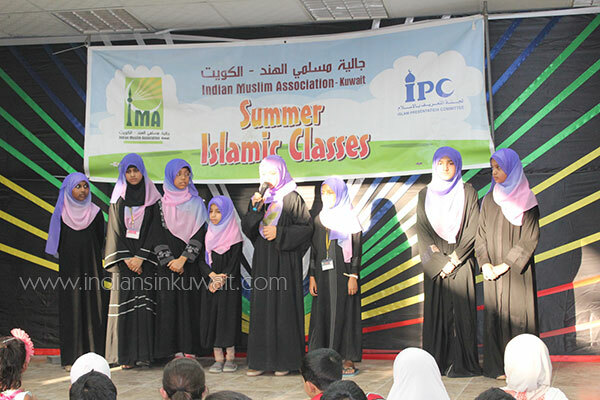 IMA would like to take this opportunity to thank IPC for their support and IMA LadiesWing for smoothly running day to day activities.